The 2017 myFace Gala: A Remarkable Celebration you won’t want to miss! This year’s Gala marks a milestone as we celebrate 65 years of care, compassion and community. Get ready to dine and dance at The Lighthouse, Chelsea Piers as we celebrate with special musical performances featuring The Groove Society and myFace patients! 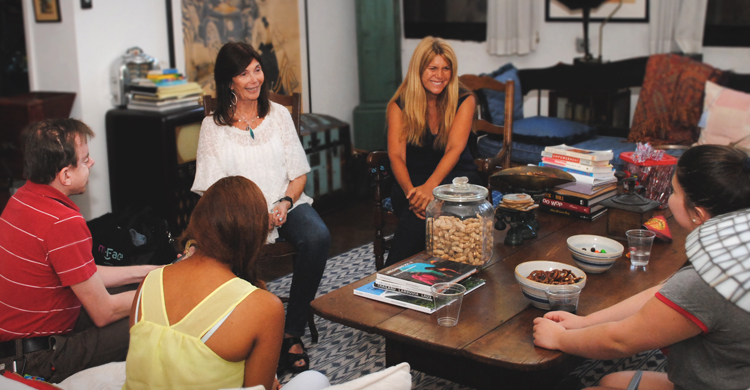 We are excited to be honoring three incredible women whose devotion to serve the myFace community in unparalleled. 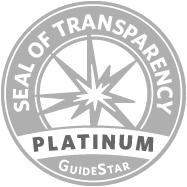 Join us as we honor Patricia Chibbaro, RN, MS, CPNP, Margy Maroutsis, COA and Jodie Berlin Morrow, PhD for their unwavering support to myFace. Click here to learn more about these extraordinary women who have impacted the lives of the craniofacial community. We are also honoring one of our patients Sara Pollak, the recipient of the 2017 myFace Courage Award! Read on to learn more about Sara’s story. Sara was born with Apert Syndrome a craniofacial condition that also affects the hands and feet. Since birth, her family has faced many difficult challenges. With myFace’s support and your generosity, Sara receives comprehensive care at The myFace Center for Craniofacial Care at the Hansjörg Wyss Department of Plastic Surgery, NYU Langone Medical Center. 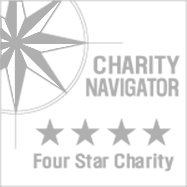 Dr. Joseph McCarthy and the team at the myFace Center worked tirelessly to assure a plan for Sara’s treatment. Sara has had 30 surgeries to date and is doing incredibly well. myFace is concerned not only with Sara’s medical care but with her psychosocial needs as well. 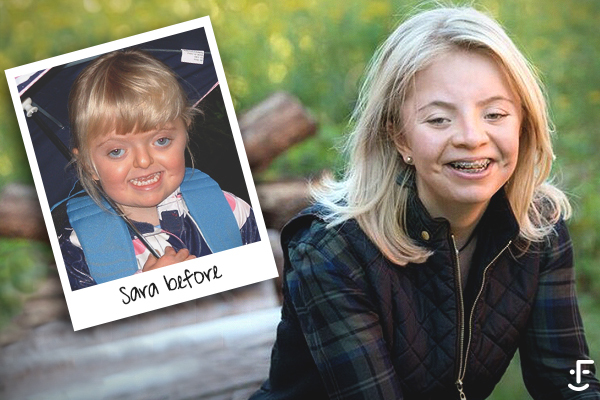 It is so rewarding to see Sara grow and thrive, despite having Apert Syndrome. Sara is a shining example of courage, a strong young woman, and an important part of the myFace family. 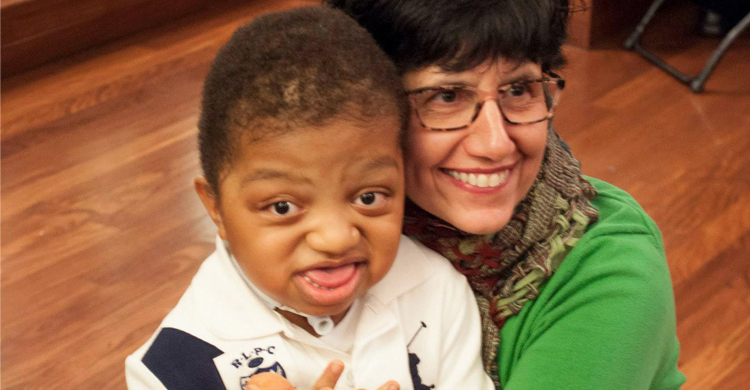 As we celebrate, we reflect on the many generous donors that have empowered us to provide comprehensive care for children with craniofacial conditions. More importantly, we have witnessed our patients be the most motivational and inspirational individuals who impact our lives and the lives of others daily. 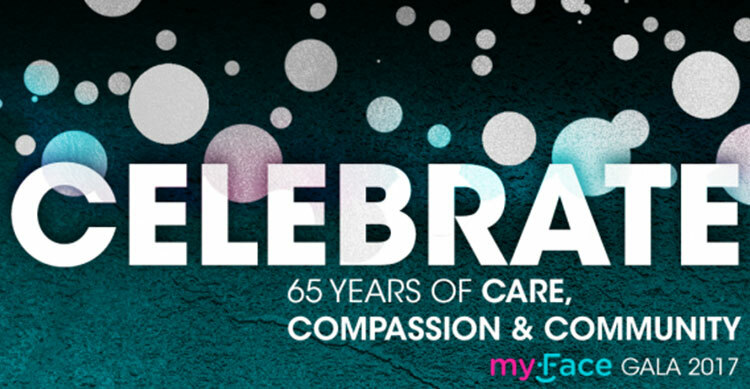 We’re thrilled to celebrate myFace’s 65 years of care, compassion and community at the 2017 myFace Gala and look forward to seeing you all there! myFace Families, learn more about tribute journal options available to include your message and help honor these incredible women and myFace Star, Sara! Contact Dina@myFace.org for more information.